New documents suggest if Iran abandons the nuclear deal, it has the ability to build a bomb in a matter of months. If Iran restarts its centrifuges, it could enrich enough weapons-grade uranium to build its first nuclear weapon in about seven to 12 months. That’s according to comments made by Albright to Foreign Policy. Albright is a physicist who runs the Institute for Science and International Security in Washington, D.C. He has visited Israel several times to review files obtained by Israeli agents on January 31 during a raid of Iranian nuclear records in Tehran. According to an analysis by the Institute for Science and International Security, by the end of 2003, Iran had managed to build the infrastructure for a “comprehensive nuclear weapons program” intended to produce five nuclear warheads, each with a 10-kiloton explosive yield. 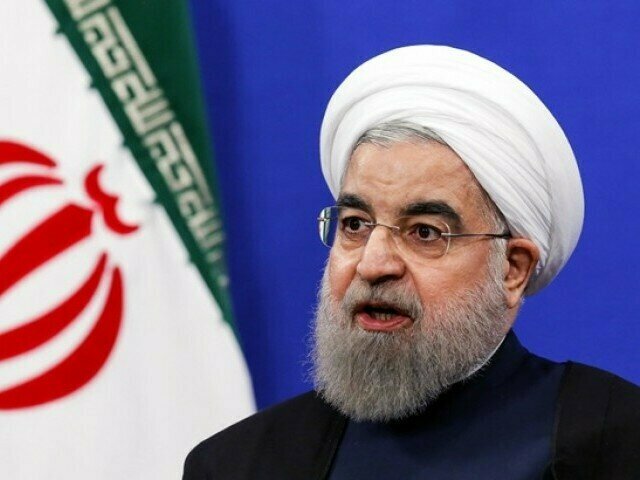 Iranian President Hassan Rouhani gives a press conference in Tehran on Jaunary 17, 2017, to mark the first anniversary of the implementation of a historic nuclear deal.